Notes: The graveyard is in town of Durrow, on northwest side of square, grounds of Durrow Castle adjacent. Graveyard contains Church of Ireland Church of St Fintan, built c. 1795, on the site of earlier medieval church, probably demolished around early 18th century. 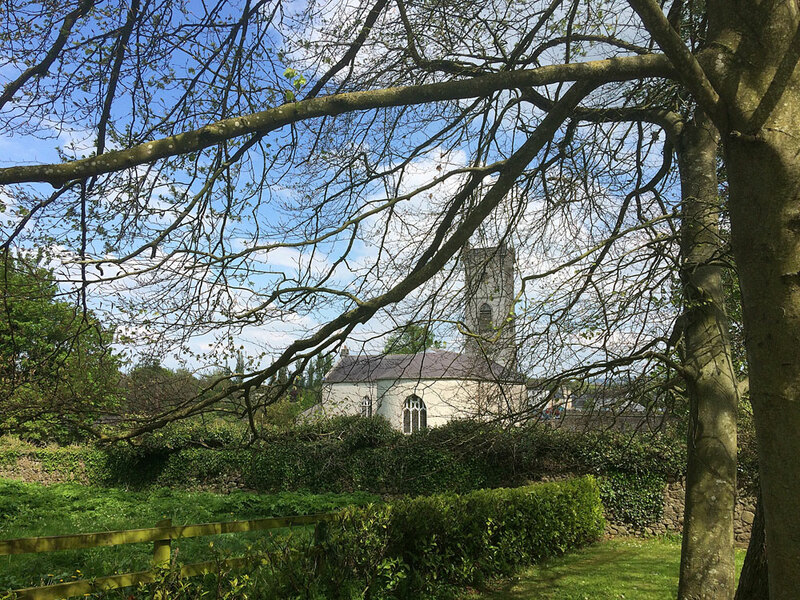 Possible site of Durrow Monastery located about 70m to northwest. Graveyard contains 18th to 20th century headstones, including round headed , recumbent slabs, railed and table tombs; most in good condition, few leaning or damaged; some table tombs overgrown with briars. Some fragments of memorials, rubble and sections of railing piled against boundary wall. Graveyard has rectangular shape; boundary stone wall intact, c. 3m high. Access via gate from town square. No paths; ground surface generally level with some bumps. Graveyard maintained, grass mown fairly regularly.